October is National Breast Cancer Awareness Month, and together we can raise awareness and help make a difference in the lives of so many. 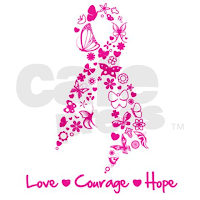 It is estimated that 230,480 women will be diagnosed with and 39,520 women will die of breast cancer in 2011. Those statistics are heartbreaking. 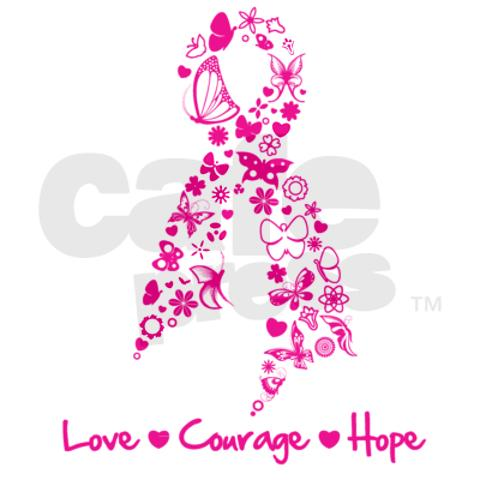 Pink Ribbons = Love, Courage and Hope! 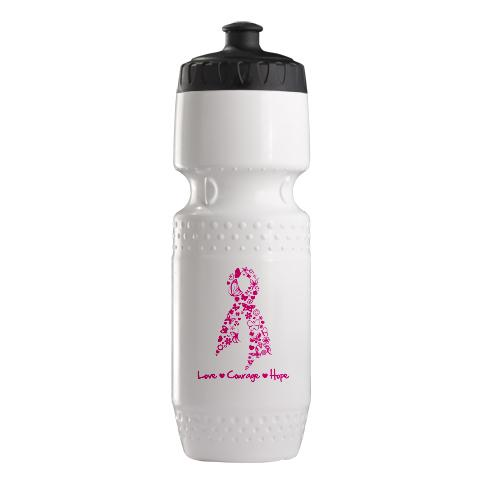 The Butterfly Pink Ribbon Trek Water Bottle is easy to squeeze, easy to open, and 100% leak-proof! This 24 oz water bottle features a screw top lid and large opening that makes adding your favorite powdered drink or adding ice a cinch. Easy-open and soft pop-it top is gentle on your teeth. I love this water bottle because it's perfect for on-the-go and at the gym. It's durable, functional and washes up perfectly! 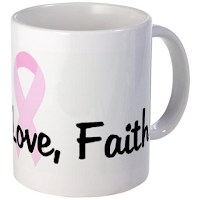 The Hope, Love, Faith Pink Ribbon Mug is perfect for your morning cup of coffee, hot cocoa or tea. This mug is easy to hold and fits nicely in your hand. This mug displays a very clear and important message. One that not only applies to breast cancer awareness but one that applies to everyday life. 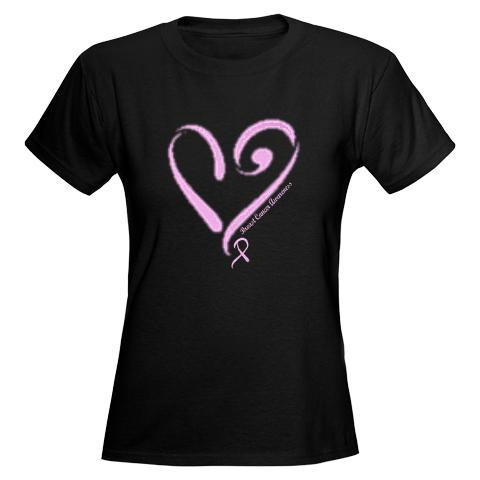 The Breast Cancer Tee is the perfect way to show your support for the cause! Its symbolic symbol of a woman in the shape of a heart, with the pink ribbon for breast cancer awareness really makes a statement! I absolutely LOVE the way the pink contrasts with the black for a bold look that is sure to be noticed. This great t-shirt is also available in red, Caribbean blue and violet! 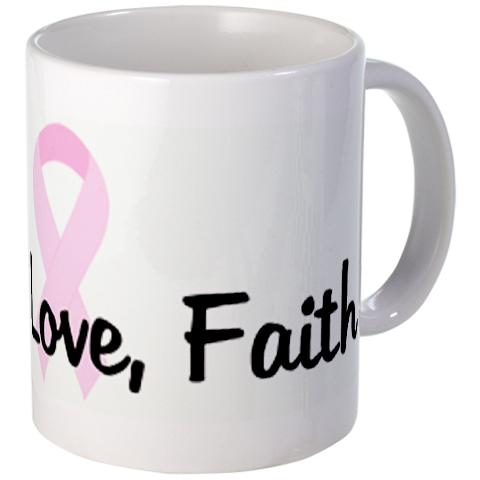 In addition to the great selection of breast cancer awareness merchandise, you can also find billions of vintage t-shirts, posters and much more at CafePress! I like "I Love Caffeine (Tan) Zip Hoodie"
I love the "Yes, I ride like a girl t-shirt"!!! I would love the Soft Kitty T-shirt. I would really like to have the "Love Backpack Messenger Bag." I love messenger bags!